As the Director for the Center for Academic Success and Excellence, Donell Young has established a career devoted to student success and development. He received Bachelor of Science and Master of Arts degree from Lincoln University. Additionally, he completed a Juris Doctor degree from the University of Missouri School of Law in 2016. In 2004, he joined the Mizzou team as the Senior Coordinator for the Office of Student Conduct, presiding over the university’s student conduct process. In 2013, he became an assistant director in the Department of Student Life, supervising the Office of Student Conduct, the Gaines/Oldham Black Culture Center and the Multicultural Center. In 2015, he was named the Director of the Center for Academic Success and Excellence. 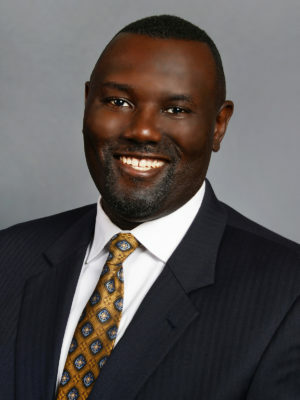 During his time at the University of Missouri, Young has also served as an adviser for multiple student organizations and mentored students in creating comprehensive plans that lead to success both in and outside the classroom. With his dual appointment with the Division of Inclusion, Diversity and Equity as the Assistant Vice Chancellor for Student Engagement and Success, he hopes to continue serving students and the university for many years to come.